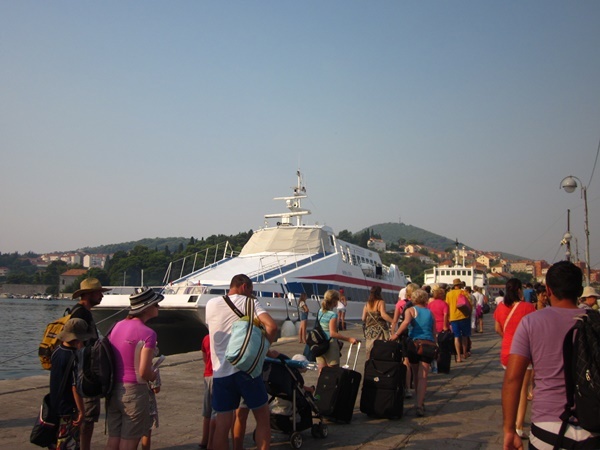 The island of Mljet is connected by high-speed catamaran with Dubrovnik port. Catamaran Nona Ana operates on this route all year round. After departing from Dubrovnik this catamaran sails to Mljet. First port of call is village Sobra and the next one is Polace. Once a day catamaran stops on Sipan island in the village of Sipanska Luka. During summer season this catamaran also sails to the islands of Korcula and Lastovo. Note that this catamaran can only take passengers. Check out the latest sailing timetable here. Where to purchase catamaran tickets? Tickets for this catamaran can be bought only on the day of the trip except those bought online. Tickets bought online must be printed and showed at the time of boarding catamaran. Ubli (Lastovo) – on the ship – 30 minutes prior to departure.